Bloody brain membranes. 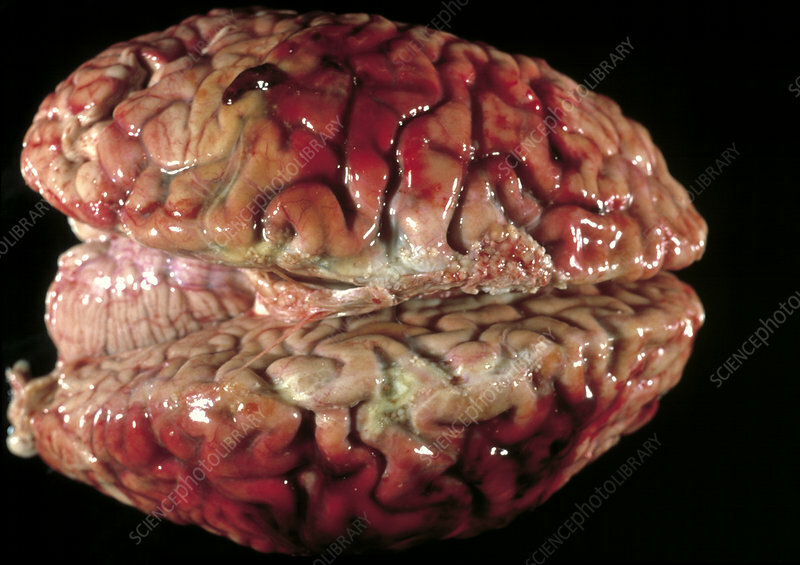 Gross clinical specimen of a brain with blood on the membranes. The brain is seen from above, and the front of the brain is at right. The membranes of the brain are called the meninges. Intracranial bleeding from ruptured head and brain blood vessels, can place pressure on the brain and cause brain damage and death.